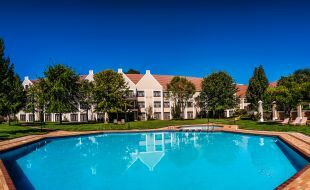 For great rates and truly unforgettable service at one of Bloemfontein’s best hotels, the Southern Sun Bloemfontein is where you’ll want to lay your head after a long day. From the moment that you arrive, you will experience a new approach to authentic Free State hospitality. The saying: "The good old days," will come to mind as you enjoy our old-fashioned welcome, perfectly accompanied by the state-of-the-art amenities on offer. Southern Sun Bloemfontein offers 147 beautifully furnished hotel rooms. Complementing the décor are convenient modern facilities, including air-conditioning, DStv and complimentary WiFi. The entire hotel is aimed at making you feel right at home, with an elegant dining room in which to enjoy all of your meals, a relaxing terrace and pool, and conferencing venues designed especially for business guests. 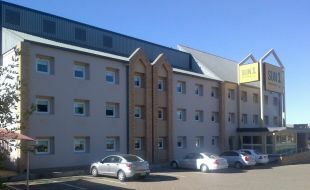 For a great alternative choice of hotel in Bloemfontein, the SUN1 Bloemfontein is a leading budget hotel. Its located near the university district and is superb value. Rooms offer basic comfort as well as complimentary WiFi, bottomless coffee, a tasty breakfast for a tasty price and rooms that can sleep 3. Immerse yourself in the rich historical splendour of Bloemfontein. Set in the grasslands of the Free State, Bloemfontein is poetically known as “the city of roses”, aptly named due to its bountiful botanical beauty and rose festival held here every year since 1976. A visit to the Free State National Botanical Gardens is a must to enjoy the full scope of the spectacular flora in this area. The climate in Bloemfontein invites you to explore the streets, head into the surrounds and soak it all in. With long, hot summer days and cool, dry winters, you will find it easy to relax and engage ‘holiday-mode’. Bloem’ is known for a peaceful laid-back atmosphere and combined with so much to explore and see, you may be reluctant to leave. For a truly unique experience, head to the Anglo-Boer War Museum - the only museum in the world to pay homage to this time in history. Also not to be missed is a visit to the Oliewenhuis Art Museum, the building alone is a work of art - a Neo-Dutch style mansion completed in 1941. There are plenty of other attractions to ensure there’s never a dull moment, including a trip to Hertzog Square, the Cheetah Sanctuary or Loch Logan Waterfront. The Sesotho people call Bloemfontein, Mangaung, meaning "place of cheetahs"! A visit to the Cheetah Experience lets you get up close and personal to these magnificent wild cats, as well as lions, leopards and even wolves. This conservation programme for endangered species is close to the centre of Bloemfontein. Book a 60-80 minute tour that is both educational and thrilling. Interaction with some of the small cats may be possible depending on the mood of the animals on the day that you visit. If you enjoy relaxing surrounded by nature, about 40 kilometres from Bloemfontein is tranquil place of natural beauty where is possible to observe game, birds and even lions. Take a packed lunch and enjoy a picnic in the wild! This is the perfect place to unwind during your stay in Bloemfontein. An unforgettable hike through the Free State National Botanical Gardens offers stunning views of the grasslands that surround the city and the gardens themselves. This trail highlights the beauty and diverse range of plants and animals that occur in the Free State.